You should vote yes for the greenhouse fee levy. Why? If you haven’t been yet, you should know that the greenhouse is one of the greatest parts of the downtown campus. It’s been one of Concordia’s best-kept secrets for too long, and now we have the opportunity to make the greenhouse as ubiquitous with the Sir George Williams experience as the People’s Potato. This fee levy will make the greenhouse independent. Without having to worry about where the next grant money will come from, we’ll see the space thrive—the events they’ve held during their campaign could become commonplace. Workshops, concerts, screenings—it’s the perfect venue for all kinds of ecologically minded events. The space is totally unique from anything else at Concordia—and financial independence will give the greenhouse more solid footing for collaboration with like-minded campus groups. Besides, where else are you going to find summer-like weather in a desolate Montreal January? If you haven’t gone up those 13th-floor stairs, you’d be amazed by what that green space will do to ease your stress levels. Focusing on your readings is a whole lot easier when the world isn’t moving around you at breakneck speeds. $0.12 per credit may seem like a steep opening bid for a fee levy, when it’s only pennies fewer than what The Link has built towards for years, but let’s put things in perspective. The greenhouse’s proposed fee levy would still amount to considerably less than what the Concordia Student Union spends on orientation—an orientation that, last year, only a few hundred students benefited from. Urban agriculture is experiencing a mini-boom, and the university level is the best place for this kind of project. For all the talk about sustainable living, the greenhouse actually gives you the know-how to cut your consumption waste. Eating in a truly “local” way is no easy feat as a student in Montreal, always in search of a fast bite before the next cram session or night out. The greenhouse is an environment that can rebuild your relationship with what you consume—one both healthier for yourself as well as the world we live in. With a fee levy, the greenhouse intends to be more than just the space on top of the Hall Building, too. And that visibility is exactly what the greenhouse needs. Those who see no use for the greenhouse just haven’t taken stock of what it could be. 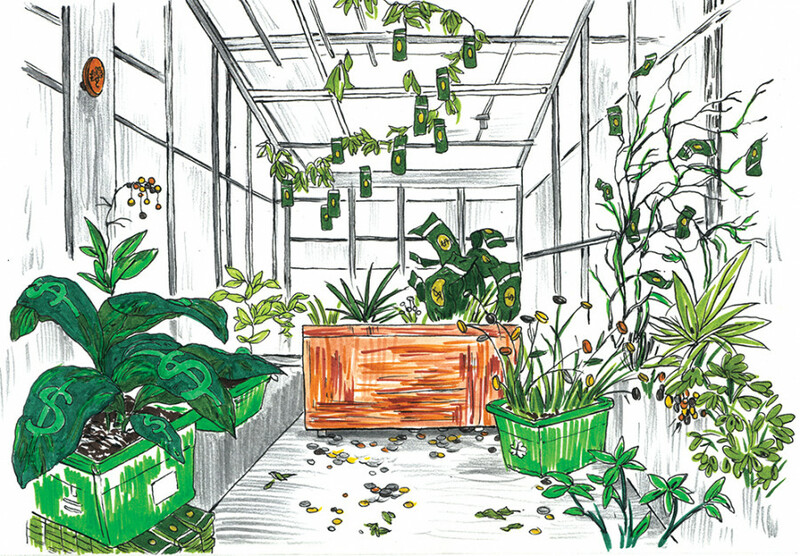 Whether it’s a study space, a teaching space or a venue to house ideas being developed in various Concordia faculties, the greenhouse is deserving of its own fee levy by virtue of its potential alone.